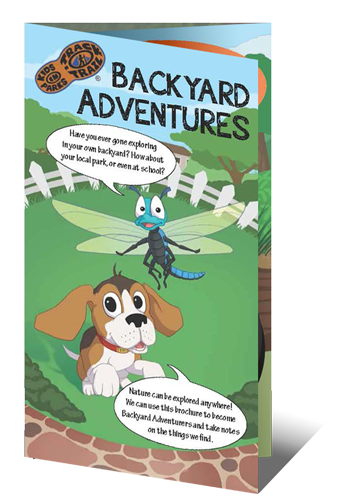 In order to introduce more kids and families to the program, Kids in Parks has developed a “Backyard Adventures” brochure that kids can complete in their backyard, schoolyard, local park, on an actual TRACK Trail, or anywhere in between. Kids in Parks has partnered with libraries, schools, community centers, and other places that kids and families visit to install our miniature trailhead displays and Backyard Adventure brochures. The brochure-led adventure is designed to help kids learn about and connect with nature. It also includes information about the program, like how to register adventures and where to find official TRACK Trail locations. Or you can find the brochure at any of our community partner locations. Once you complete the activity, TRACK your adventure below and we’ll send you some Trail TRACKer gear!